Well timed to coincide with the new Revell kit release, these decals should both enhance and add choice to finishing options - Recommended. The BAe Hawk needs little introduction, representing as it does one of the most successful Western advanced trainers. Over 900 have been produced, and serve with 18 nations. The Hawk’s attractive lines and plethora of colour schemes have made it a popular modelling subject. 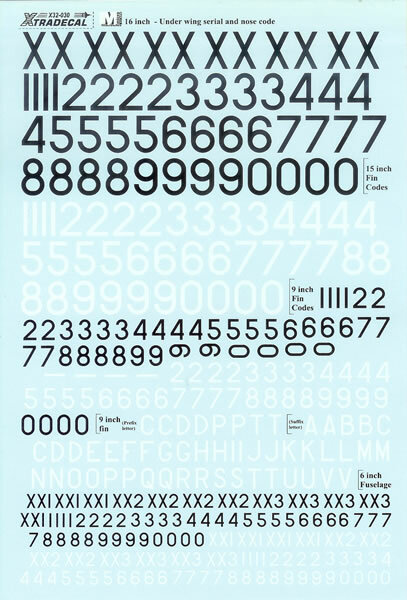 Revell’s recent release of a 1/32 scale kit will no doubt give Hawk modelling another boost, and so Xtradecal’s release of the two decals sheets reviewed here is very timely. The decals are supplied in Xtradecal’s usual A5 window envelope. Understandably, only the maintenance markings sheet has instructions, none being needed for serial numbers and letters. Entitled: “BAe Hawk T.1A Black and White serial numbers and letters in underwing and fuselage sizes to customise any Hawk in RAF service”. There’s not much to add as that pretty much says it all! 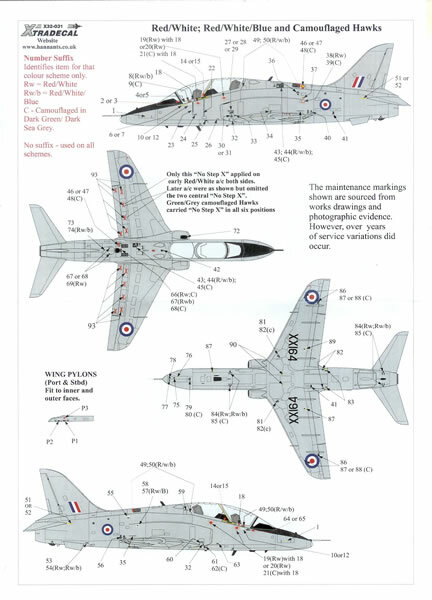 Entitled: “BAe Hawk T.1 Comprehensive Maintenance Markings for all camouflage schemes”. 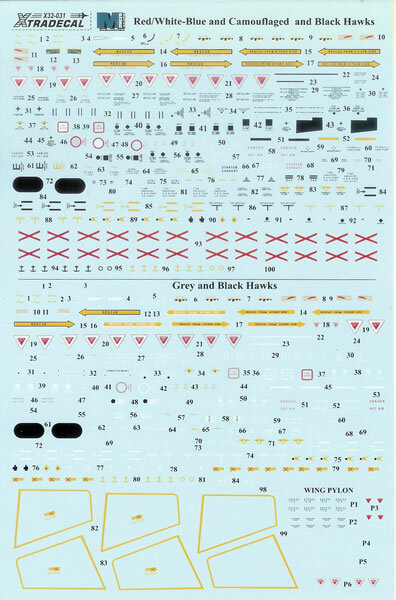 Two formats for maintenance marking placement are given, one for overall grey or black Hawks, and one for Red/White/Blue or camouflage Hawks. Sufficient markings for one of each of these two alternatives are provided. In both cases the airframe is depicted in pale grey to make stencil placement clear and obvious. The instructions are nicely produced in colour and clearly indicate markings placement. These decals look to be superbly printed and with excellent colour density. These look to be top quality decals that were well timed to support an initial burst of enthusiasm for the new Revell 1/32 BAE Hawk kit - Recommended.